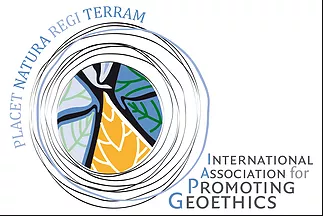 The IAPG is a multidisciplinary, scientific platform for widening the discussion and creating consciousness about problems of Ethics applied to geosciences. IAPG deals with ethical, social and cultural implications of geoscience knowledge, education, research, practice, and communication with a worldwide membership providing a global network of 1600 geoscientists in 116 countries in 5 continents. IAPG has an Executive Council, 26 national sections, a Board of Experts, a Young Scientists Club and a Task Group on Responsible Mining. IAPG promotes scientist’s responsibility, research integrity, sustainability, risk prevention, geoeducation. Concepts and values on geoethics are summed up in the Cape Town Statement on Geoethics, released in 2016. The main IAPG activities are: organization of symposia in scientific congresses, publication of articles and books with peer-review process, dissemination of geoethics within the scientific and professional community and society as a whole through seminars, conferences, and exhibitions. IAPG cooperates with other organizations through affiliations, agreements for cooperation, and partnerships. IAPG is legally recognized as a non-profit scientific association, has its Head Office c/o the Istituto Nazionale di Geofisica e Vulcanologia in Rome (Italy), lives through donations and personal funds of its members. IAPG is greatly interested to strengthen its international relationships with Institutions/Organizations that share the common goals to promote the importance of addressing ethical and social aspects in research and practice activities, and of developing multi- and transdisciplinary approaches to cultural and environmental challenges our society has to face. For this reason IAPG considers strategic the membership to the CIPSH and to contribute from its peculiar perspective to the discussion on cultural issues affecting the human communities.